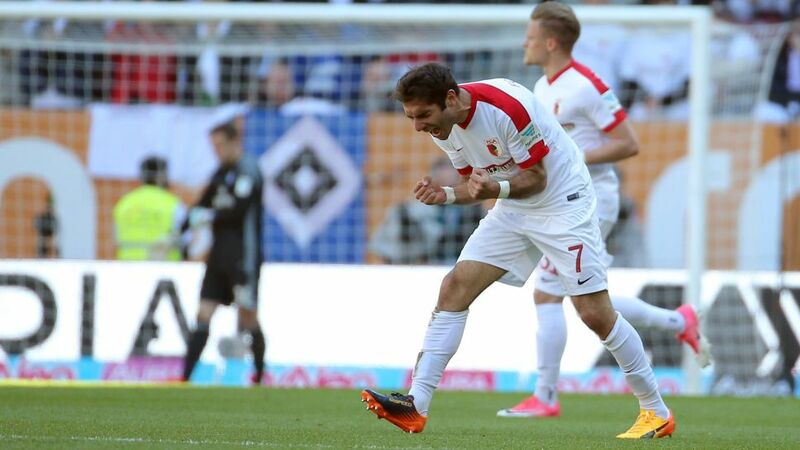 Veteran midfielder Halil Altintop scored a first-half brace as Augsburg put four past relegation rivals Hamburg to leapfrog them in the table. Click here to sign up Halil Altintop for your Official Fantasy Bundesliga team! Starting in the relegation play-off place, Altintop got Augsburg underway with two goals against the stubborn resistance of Hamburg’s third-choice ‘keeper Tom Mickel. His first was a nicely struck effort from the edge of the box, before he doubled the lead ahead of the break as he came around the back to tap home Philipp Max’s cross. Did Altintop impress you enough to win the Matchday 31 #BLMVP award? If so, vote for him now below! Altintop now has seven Bundesliga goals against Hamburg – he only has more against Wolfsburg.The midfielder has scored five goals in four home games for Augsburg against HSV.Altintop’s last Bundesliga brace came almost exactly three years ago – also against Hamburg.